A fire crackles warmly against the inky night sky, as snowflakes float down from above. Bundled in knit mittens and blankets, you’re made all the more content as you cozy up to loved ones. Beyond the warm glow of the winter flames, endless sheets of ice protect a frozen lake below. Towering snowy mountain peaks surround you, seemingly kissing the heavens above. Campfires aren’t just enjoyed during the summer months. An outdoor winter bonfire at day’s end can be a beautiful focal point for friends and family. You’ll share just as many stories as mugs of hot cocoa. 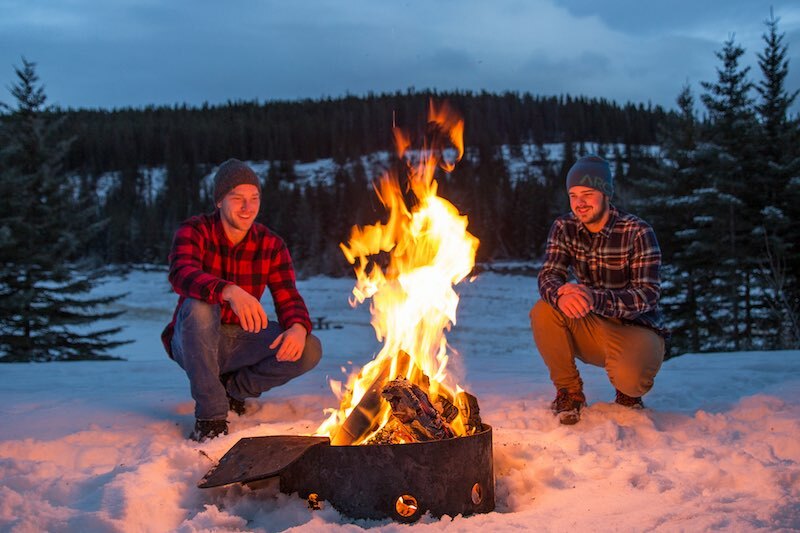 These winter campfire spots in Banff National Park are the perfect place for your own frosty oasis. A visit to The Juniper is a must-do after a day of riding at Mt. Norquay – it’s right on the way home! 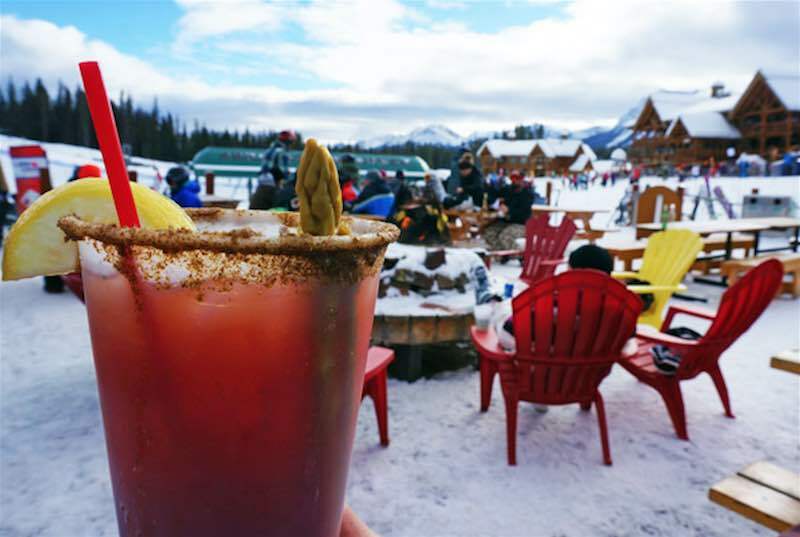 Offering some of the best views in the Bow Valley, their staff are already happy to light the outdoor fire pit and serve you outside. Photo courtesy of the Juniper Hotel + Bistro. 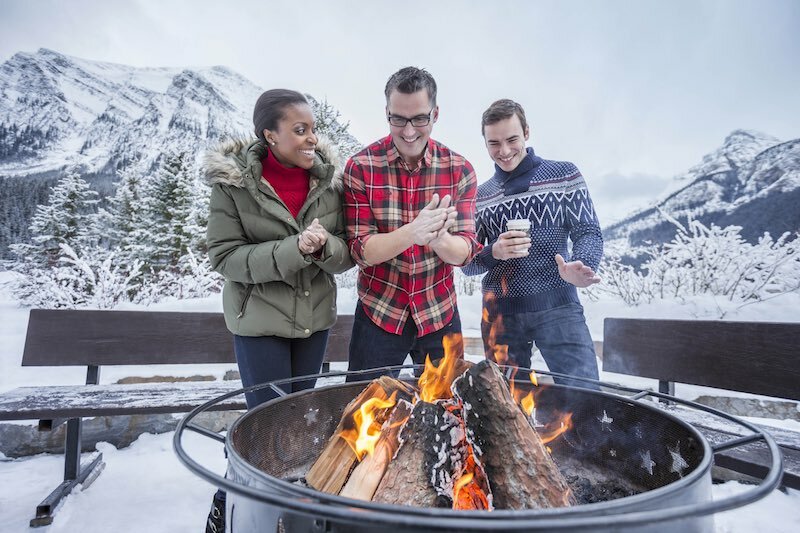 In-house guests of the Fairmont Chateau Lake Louise can enjoy the outdoor fire pit, perfect for warming frosty toes of skaters and winter hikers. 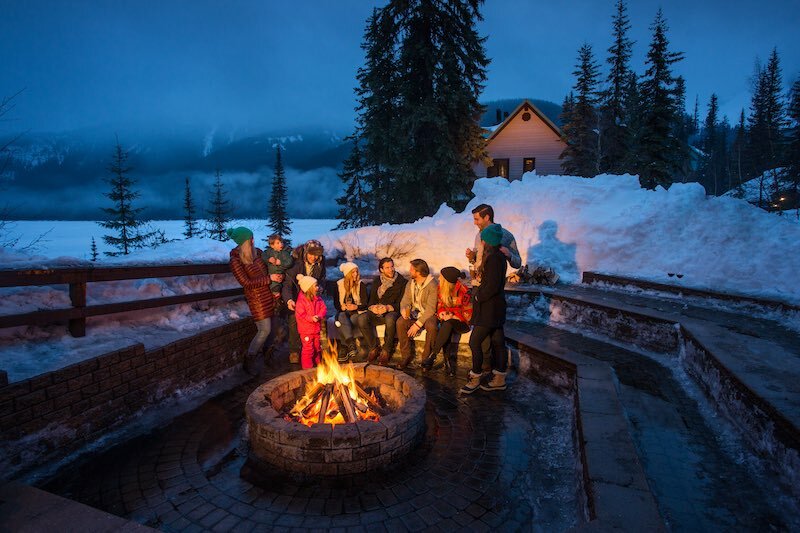 Roast marshmallows as you take in stunning views of the Victoria Glacier perched above the lake. 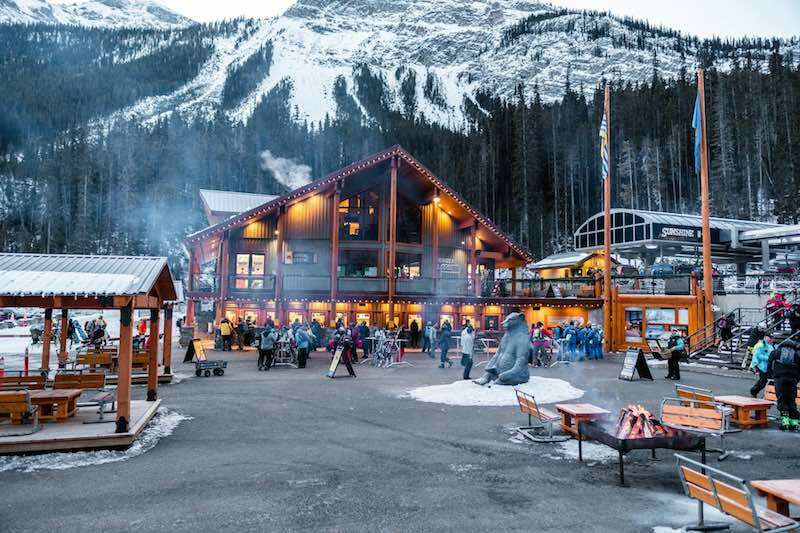 Whether waiting for the ski shuttle or warming up before boarding the gondola, the fire pit at Banff Sunshine’s gondola base is a hub of activity. Grab a warm latte and freshly baked pastry from First Tracks Cafe in the Creekside Lodge to sweeten the moment. Located right on Banff Avenue, this skating rink is lit up not only by twinkling Christmas lights, but also an outdoor campfire to warm frosty feet. Pack your skates to fully enjoy this winter treat. The views from this winter campfire spot are nearly unbeatable. 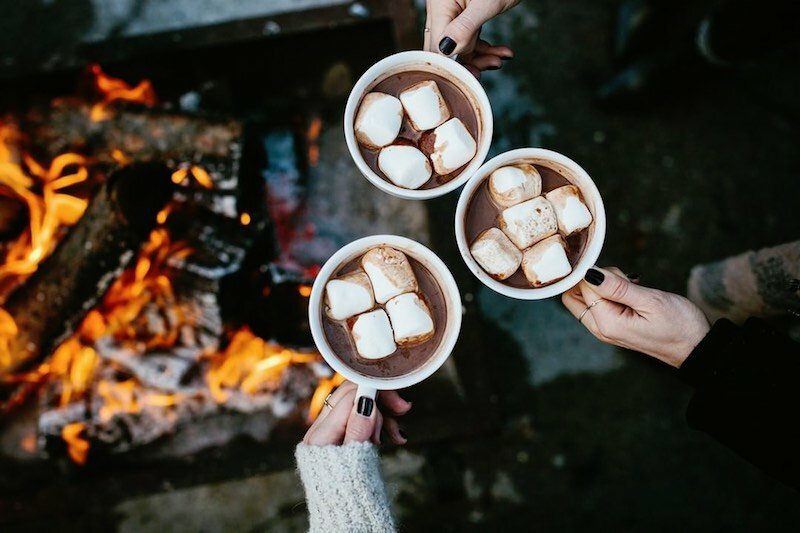 With ample mini-amphitheatre-style seating, lodge guests can gather ’round to create warm winter s’more treats – roasted marshmallows squished between chocolate and graham crackers. *Please note that fire pit use is for lodge guests only. You’ll need to bring a few extra amenities (such as firewood) to this location, but it’s well worth the effort. A popular spot in the summer, chances are you’ll have it all to yourself come the colder months. The picnic tables and covered shelters are a convenient addition, too! 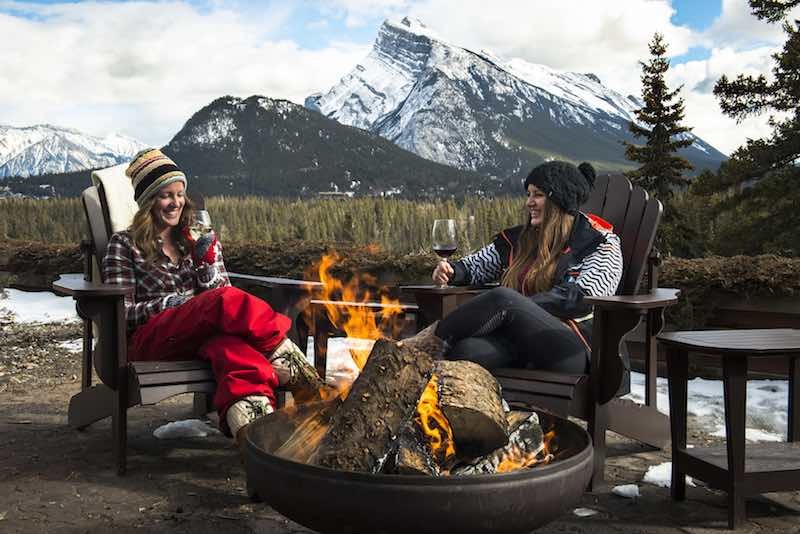 For in-house guests at the Fairmont Banff Springs, the outdoor fire pit on the Upper Bow Valley Terrace is open for enjoyment. Hosted campfire and marshmallow toasting runs from 4-5pm on the terrace on Mondays, Fridays, Saturdays and Sundays for the winter season, and is weather dependent. Photo courtesy of Fairmont Banff Springs. This campfire spot is a local favourite, conveniently located in Spray Meadow behind the Fairmont Banff Springs hotel. With an ice rink, warming hut, and gentle slope for sledding, this is the perfect location for people of all ages to enjoy even more of the great outdoors. Insider tip: hit up wing night at the Waldhaus Pub on their Wednesday wing night – they’re the best in Banff! Kokanee Kabin is the place to be when the warmer ski months hit. Many a skier and snowboarder can be found kicking back on the colorful deck chairs circling the outdoor fire pit here, most often with a pint in hand. Kokanee Kabin at Lake Louise Ski Resort. Photo by Alexa Hohenberg. 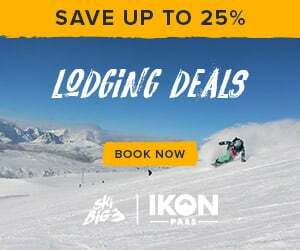 Ready to book your winter vacation to Banff National Park? Our friendly Reservations Team are always happy to share their local knowledge and experience to help you find the best vacation package for your style and budget. You can reach them via Live Chat (scroll up for the Live Chat link at the top of our website), or by calling 1-844-754-2443.